HSN is a leading entertainment and lifestyle retailer, offering a curated assortment of exclusive products and top brand names to its customers. HSN incorporates entertainment, inspiration, personalities and industry experts to provide an entirely unique shopping experience. At HSN, customers find exceptional selections in Health & Beauty, Jewelry, Home/Lifestyle, fashion/Accessories, and Electronics. 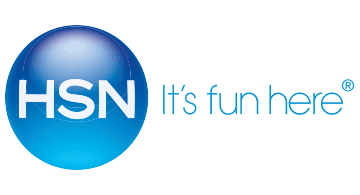 HSN broadcasts live to approximately 94 million households in the US 24/7 and its website - hsn.com features more than 50,000 product videos. Mobile applications include HSN apps for iPad, iPhone and Android. HSN, founded 39 years ago as the first shopping network, is an operating segment of HSN, Inc. (Nasdaq: HSNI). For more information, please visit www.HSN.com, or follow @HSN on Facebook and Twitter.